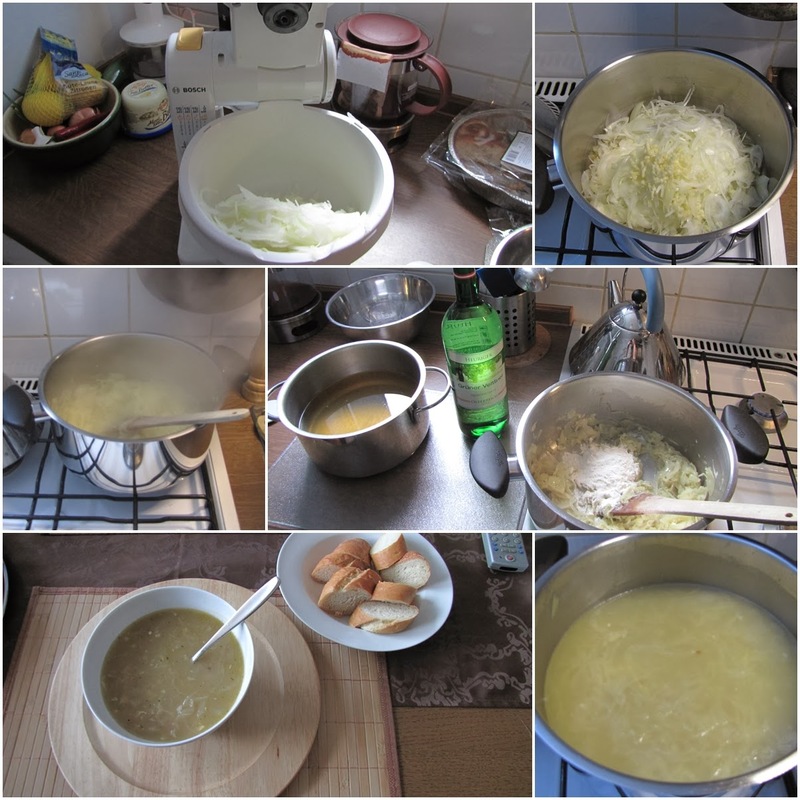 I made a great French onion soup Check it here on WIKIPEDIA with white wine. I served it with a baguette and I spread gruyère cheese on the soup. To be honest I should have toasted the baguette, put it on the soup, spread the cheese and put it into the oven for a while. But for one portion yesterday I saw no reason to heat the big oven. But yes, the soup was great! I'll post t he recipe soon. It was really easy. But I was crying like a baby because the onion was very strong.